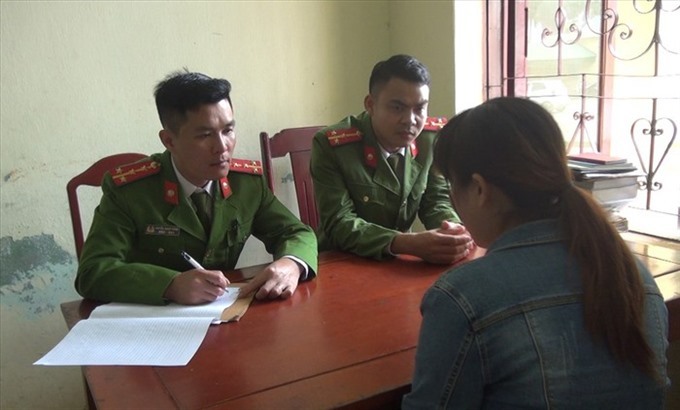 THANH HOÁ — Police in central province of Thanh Hoá on Sunday announced they had successfully stopped a group of 11 men from illegally crossing the border to work in China. On Friday evening, after receiving reports from local residents in Quảng Nam Commune, Quảng Xương District, the police stopped the men group who were heading to catch a coach to Móng Cái City in Quảng Ninh Province to enter China. Seven of the 11 men had reportedly been illegally working in China. They had returned to their hometown in Thanh Hoá Province for Tết and asked other locals there to join them in China.